When you work with Vertikal, a member of our team of professionals is there for every step of the project, bringing their skills in horticulture, design and practical construction. 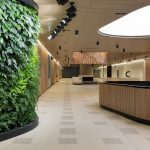 We work closely beside the team, from the initial supply and planning with our client, to designing in consultation with the architect, to the construction and installation of the vertical garden systems, to the final fit-out and planting. 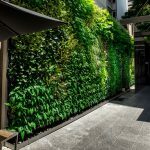 See the phases that go into the design, construction and installation of one of our vertical gardens and who’s involved at each. 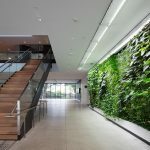 Learn about vertical garden systems, important considerations and the expert design, supply, install and maintenance services we can help you with. We make sure to work exclusively with plants suppliers who only offer the best plants and will consult on the most appropriate species to suit each vertical garden. Vertikal also offer advice, ongoing support and a ‘best in market’ maintenance program to ensure your vertical garden thrives for many years to come. 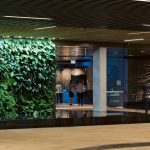 Make a statement on your next indoor design and construct project with the world's most flexible and eco-smart vertical garden system. External vertical gardens can play home to an extraordinary variety of plant species, which often offers more creative licence. What your builder needs to know to prepare your wall for a vertical garden. 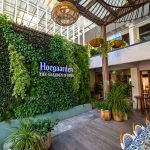 Trust in our vast experience choosing, testing, supplying and caring for vertical garden plants in many different aspects, climates and environments. Like all life, living walls depend on water and light to survive and thrive. Our experts will look after both for you. Choose expert maintenance advice and services to ensure your wall garden thrives and investment prospers. Savings for landscape professionals requiring a smart and flexible vertical garden supply only solution.